Defer to the higher knowledge of Academia. In 1709, English poet Alexander Pope warned “a little knowledge is a dangerous thing.” This observation describes the plight of the active investor. 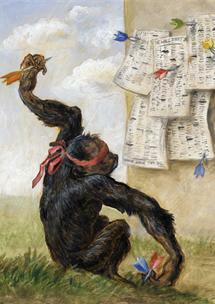 Armed with sound bites from media pundits, many active investors discover too late how little they know. They think active investing is the only way to make serious money. However, that conclusion is debunked by the wealth of knowledge produced by Nobel Laureates. In traditional 12-Step Programs, the second step is to acknowledge the presence of a higher power. 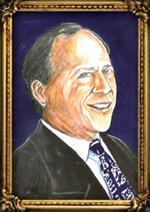 Nobel Laureates serve as the higher power for investors. They provide us with Nobel Prize-winning research and hundreds of peer-reviewed published papers that collectively discredit the myth that active investors can consistently beat the markets. Instead, their research supports the argument that a globally diversified, low-cost strategy maximizes returns at given levels of risk. In the painting titled, Whom Should You Trust?, the dilemma of investors is depicted. On one side is the slick salesman of Wall Street products and services. Tugging on the other side is an academic who provides unbiased research that does not require the facade of a polished advertising campaign. 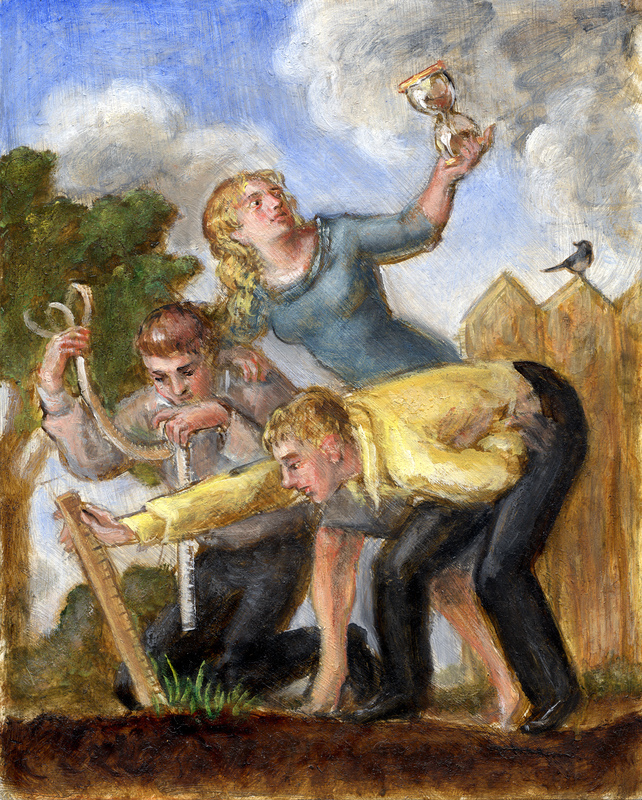 The investors are caught in the middle, torn between the forces of salesmanship and empirical evidence. Hopefully, they will listen to the evidence. The most significant problem for active investors is their reliance on factors other than empirical evidence in selecting investments. They speculate heavily and depend on Lady Luck, rather than on the science of investing. In addition, they often chase the recent success of a manager, stock, time, or investment style. The great majority of investors are unaware of the tremendous amount of academic brain power that has been applied to investing. This lack of awareness makes investors more susceptible to the lure of active management, so they engage in risks they do not understand and cannot quantify. Milestones of achievement in modern finance have accelerated over the last several decades, as advancements in technology have enabled sophisticated calculations and analysis of millions of data points. At the heart of these analyses and computations is the renowned Center for Research in Security Prices (CRSP). In 1960, University of Chicago Professor James Lorie was asked by Merrill Lynch to determine how well most people performed in the stock market relative to other investments. His research led to the creation of CRSP, a database of total returns, dividends and price changes for all common stocks listed on the many exchanges from 1926 to the present. In January 1964, Lorie and Fisher published their findings in The Journal of Business, The University of Chicago’s Press. Their research paper proclaimed that the average compounded rate of return on NYSE common stocks from 1926 to 1960 was 9%. For the first time in history, an average rate of return was quantified. The front page of The New York Times financial section heralded the pair’s results. In 1977, Lorie and Fisher published a book on their subsequent research at CRSP, titled A Half Century of Returns on Stocks & Bonds.1 The CRSP database has made the University of Chicago’s Booth School of Business the premier institution for financial and stock market research, boasting 29 out of 79 Nobel Laureates in Economics who have either attended or taught at the university as of 2017. 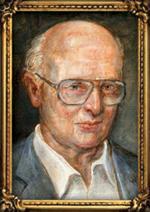 The CRSP database plays such a pivotal role in portfolio construction that Rex Sinquefield, co-founder of Dimensional Fund Advisors, said this about its creation: “If I had to rank events, I would say this one is probably slightly more significant than the creation of the universe.”2 Celebrating its 58th anniversary in 2018, CRSP is now the leading provider of historical stock market data to over 500 institutions around the world. Since 1969, the Sveriges Riksbank Prize in Economic Sciences in Memory of Alfred Nobel has been awarded to honor contributions in the fields of economic policy, development economics, international trade and the use of financial resources. The groundbreaking accomplishments of academics provide the knowledge that active investors need to free them from the delusion they can beat markets. 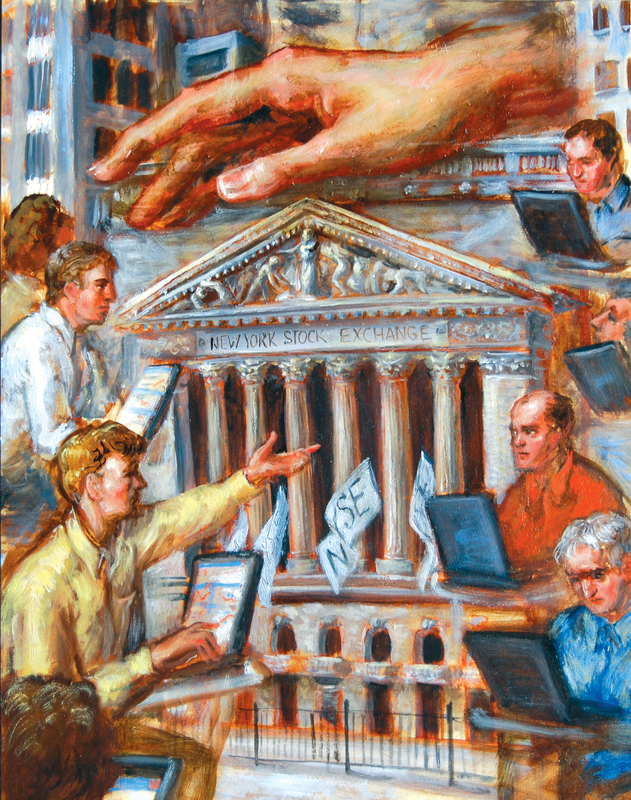 Truly successful investing is built on the pillars of academic research. The following milestones demonstrate how strongly the creativity, determination and tireless research of thousands of individuals has influenced the development of this 12-Step Recovery Program for Active Investors. 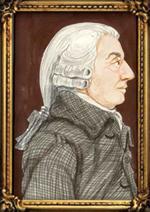 In his 1776 landmark book, The Wealth of Nations,3 Adam Smith asserted that countries that embrace free markets would prosper while others would not. His assertion was illustrated with the visual image of the invisible hand representing free market forces. 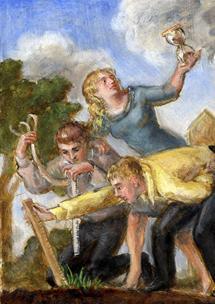 Smith believed that individuals who acted in their own self-interest would benefit society as a whole. By allowing buyers and sellers to set prices, a free market economy would ensure the allocation of resources in the most efficient manner. Similarly, index investing is based on the idea that markets work, and that market prices constantly change to reflect current information and opinions. Smith believed that “by pursuing his own interest, he frequently promotes that of the society more effectively than when he really intends to promote it,” hence the invisible hand. In his 1900 doctoral thesis, “The Theory of Speculation,” Louis Bachelier set forth his revolutionary conclusion that “there is no useful information contained in historical price movements of securities.”4 Therefore, the expected return of speculation is zero (minus costs). 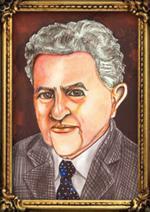 Bachelier’s theory was rejected by his peers and sat untouched for 60 years until economist Paul Samuelson discovered it. Paul Samuelson, Eugene Fama and others would expand on Bachelier’s findings with the ensuing and revolutionary Random Walk Theory, which asserts that stock prices continuously react to new information and therefore move in a random and unpredictable fashion. 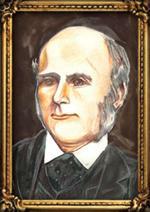 English scientist Francis Galton was a statistician who developed the important concepts of correlation and regression toward the mean. 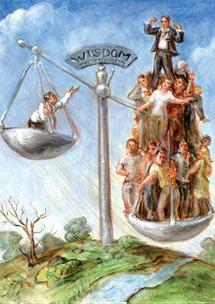 He discovered in the early 1900s that the collective wisdom of many is more accurate than the wisdom of a few. Galton arrived at his discovery of “The Wisdom of the Crowds” at a livestock convention, where a crowd of almost 800 people were asked to guess the correct weight of a butchered ox. Surprisingly, the average guess of the entire crowd was very close to the ox’s actual weight, only one pound off. No one individual came as close to the correct answer. In a 1906 Nature Magazine article titled, “Vox Populi” (Voice of the People), Galton concluded that a group of individuals making independent guesses would make a more accurate assessment than any individual would on their own.5 The world’s equity markets support Galton’s discovery, as about ten million investors trade ten billion shares and aggregate their wisdom into global securities every trading day. 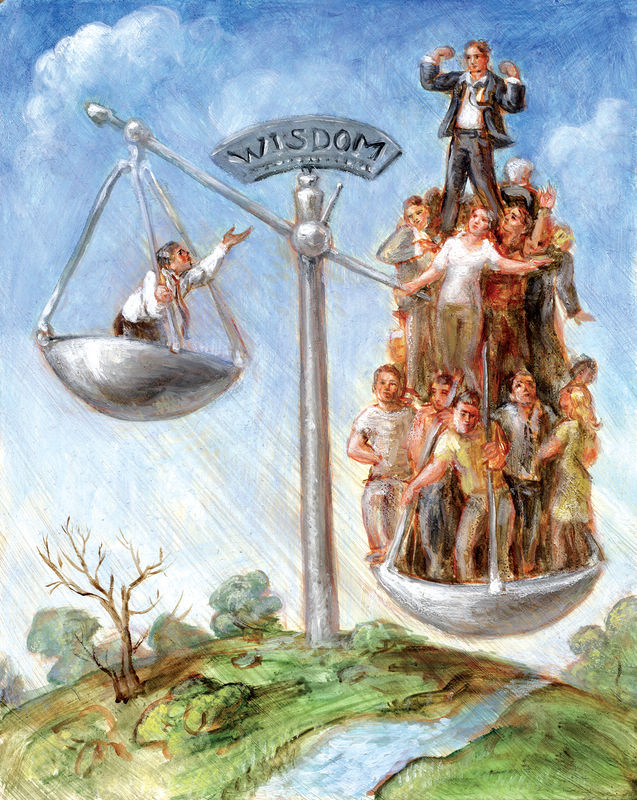 In 2005, New York Times journalist and author James Surowiecki eloquently detailed the accuracy of the collective wisdom of all of us in his popular book, The Wisdom of Crowds: Why the Many Are Smarter Than the Few and How Collective Wisdom Shapes Business, Economies, Societies and Nations.6 His book describes and affirms Galton’s findings that large groups of people are smarter than even the experts. 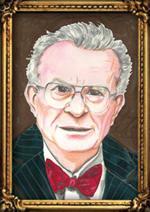 In 1970, MIT Professor of Economics Paul Samuelson was the first American to be awarded a Nobel Prize in Economics. Samuelson has long been credited with contributing more than any other contemporary economist to raising the analytical and methodological levels of economic science. 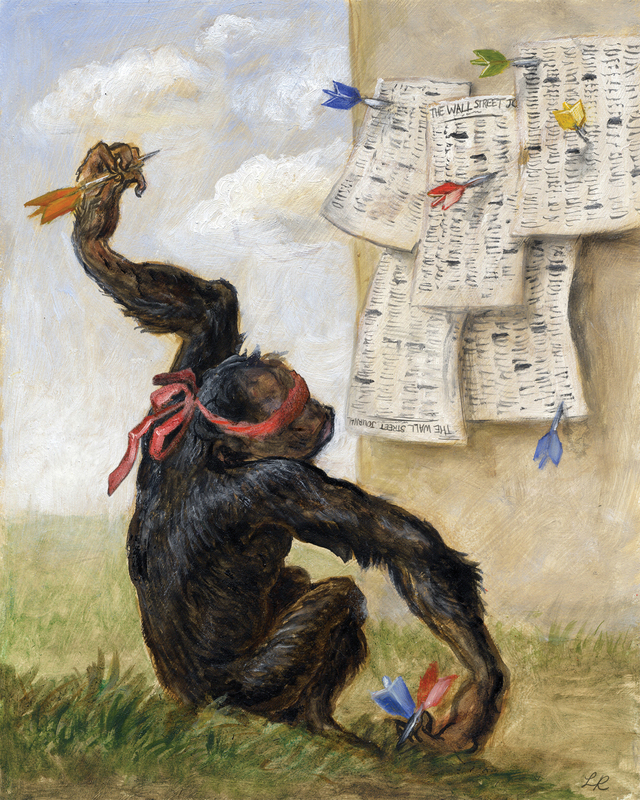 Influenced greatly by Louis Bachelier, Samuelson proved, expanded and refined Bachelier’s work in his famous paper, “Proof that Properly Anticipated Prices Fluctuate Randomly,”7 published in 1965. His findings can be summarized as follows: a) market prices are the best estimates of value; b) price changes follow random patterns; and c) future news and stock prices are unpredictable. 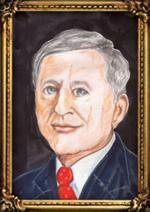 Samuelson’s wisdom is reflected in his words, “Investing should be dull, like watching paint dry or grass grow. If you want excitement, take $800 and go to Las Vegas. 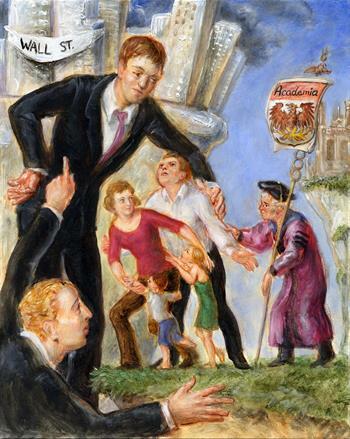 It is not easy to get rich in Las Vegas, at Churchill Downs, or at the local Merrill Lynch office.” The painting on the next page illustrates Samuelson’s belief that investing should provide as much excitement as watching grass grow. 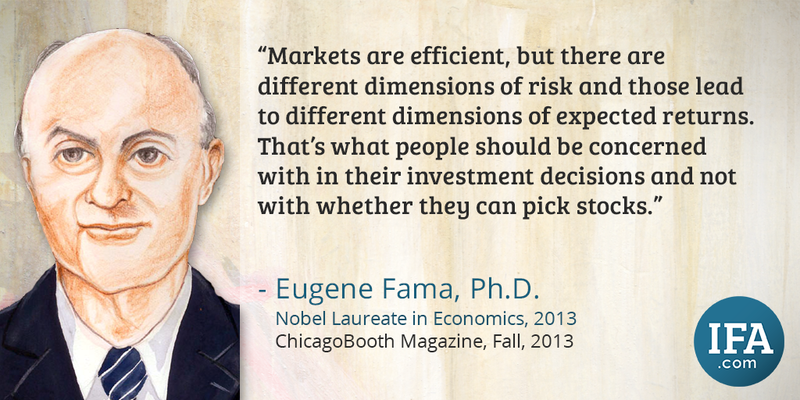 In recognition of his contributions to the Efficient Market Hypothesis and asset pricing models, Eugene Fama was awarded the Nobel Prize in Economic Sciences in 2013. Fama is a University of Chicago professor of finance and is widely viewed as the “Father of Modern Finance.” Fama set out to explain why stock market prices fluctuate randomly, and his findings led to his coining of the phrase “Efficient Market.” In “The Behavior of Stock Market Prices,”8 published in 1965, Fama examined the prevailing assumption that the tremendous resources available to any major brokerage firm, including industry trends, effects of interest rates, accounting data, and access to managers of firms consistently allowed fund managers, stock brokers, and security analysts to outperform a randomly selected portfolio of securities with similar general risk levels. However, the study determined no such advantage existed beyond that attributed to chance alone. In 1970, Fama published his Efficient Market Hypothesis in “Efficient Capital Markets: A Review of Theory and Empirical Work,”9 in which he concluded equity markets consistently incorporate all available information into their prices, and trends in capital markets cannot be identified in advance. He found that an agreement between a willing buyer and a willing seller reflects the most accurate value of a security, resulting in an environment where the only way an investor can expect to beat an index return is by taking risk greater than that index. This can be accomplished by increasing exposure to the dimensions of returns, such as small, value and profitability stocks. Eugene Fama and Kenneth French’s 1992 paper, “The Cross-Section of Expected Stock Returns,”10 expanded upon the Nobel Prize-winning research of Harry Markowitz and William Sharpe that delivered Modern Portfolio Theory. In that paper, Fama and French determined that exposure to market, size and value risk factors explained as much as 96% of historical returns in diversified stock portfolios. Their discoveries serve as the foundation for constructing their own portfolios that currently capture risks and returns based on the independent factors including term and default for fixed income. 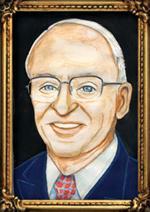 Shortly after earning his MBA from the University of Chicago, Rex Sinquefield convinced his then employer, American National Bank of Chicago, to develop one of the first market-capitalization weighted S&P 500 index funds. Established in 1973, the fund was only available to institutions, and the New York Telephone Company became its first major investor. In 1976, Sinquefield teamed up with Roger Ibbotson to co-author “Stocks, Bonds, Bills and Inflation,” an annually updated study that is widely recognized as the most comprehensive empirical study of stock market returns available.11 Also in 1973, David Booth and John “Mac” McQuown helped develop a market-cap-weighted S&P 500 index fund for Wells Fargo Bank. 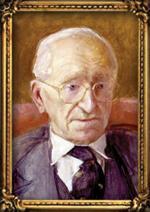 Austrian economist Friedrich von Hayek (1899 to 1992) was awarded the Nobel Memorial Prize in Economics in 1974. In his seminal book, The Road to Serfdom,15 Hayek articulated the reasons why free market capitalism is a superior economic model to communism or socialism. 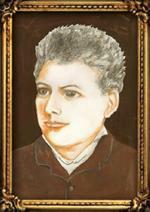 He and his mentor, Ludwig von Mises, were influential figures in the Austrian school of political economy. He postulated that centralized planning by a government is not democratic and that market economies are the result of spontaneous order, resulting in a more efficient allocation of resources than any other system could achieve. 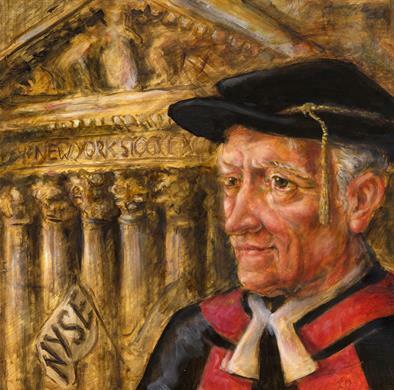 Building on the work of Adam Smith, Mises, and others, Hayek argued that in socialist or communist societies, an individual or a small group of people inefficiently determines the distribution of resources. His findings support the concept that prices in a free market, such as the global stock exchanges, reflect all available information as well as the forecasts of all market participants. In other words, prices are an effective and efficient means of communication between buyers and sellers. 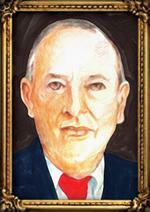 Bogle is widely recognized as a vocal champion of the individual investor, even earning him the moniker of “St. Jack” for his unwavering commitment to keeping fees as low as possible and ensuring fund transparency and purity. Bogle has received significant accolades in recognition of his efforts. In 2004, TIME Magazine named Bogle one of the world’s 100 most powerful and influential people, and Institutional Investor presented him with its Lifetime Achievement Award. In 1999, Fortune designated him as one of the investment industry’s four “Giants of the 20th Century.” In 1998, Bogle was presented the Award for Professional Excellence from the Association for Investment Management and Research, and he was inducted into the Hall of Fame of the Fixed Income Analysts Society, Inc. in 1999. Bogle is also a prolific and best-selling author of many books. Some of my favorites are Common Sense on Mutual Funds: Fully Updated 10th Anniversary Edition (2009); The Little Book of Common Sense Investing: The Only Way to Guarantee Your Fair Share of Stock Market Returns: 10th Anniversary Edition (2017); and Bogle on Mutual Funds: New Perspectives for the Intelligent Investor (1994). David Booth earned his MBA from the University of Chicago in 1971, where he studied under great economic minds like Eugene Fama and Merton Miller. Booth suspected many investors were unaware of the benefits of size risk exposures. In 1981, Booth and Rex Sinquefield, along with guidance from Eugene Fama, founded Dimensional Fund Advisors, a highly regarded mutual fund company that applies passive asset class strategies to its wide range of funds. Many of Dimensional’s funds capture tilts toward factors such as size, value, and profitability. Long-term exposure to these factors has produced above-market returns since 1928.17 Dimensional was one of the first fund companies to educate its clients and advisors about the direct relationship between specific risks and their expected returns. Booth’s initiative has paid off. Dimensional is regarded by independent investment advisors as a top mutual fund company with assets of $577 billion as of December 2017. Booth continues the advancement of investing science through generous donations. Most notably, in 2008, he gave $300 million to the University of Chicago’s School of Business, the largest gift in the University’s history and the largest gift to any business school. In recognition of this gift, the University of Chicago’s business school was renamed Chicago Booth School of Business. Subsequently, four Nobel Prizes in Economic Sciences have been awarded to current and former faculty members of the Booth School of Business — Thomas Sargent in 2011, Eugene Fama and Lars Peter Hansen in 2013, and most recently, Richard Thaler in 2017. 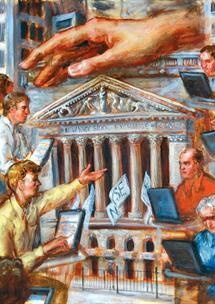 After several decades of economic breakthroughs, the science of investing was recognized in 1990. The Sveriges Riksbank Prize in Economic Sciences in Memory of Alfred Nobel, commonly know as the Nobel Prize in Economic Sciences, was awarded to three investment research pioneers for their collective work known as Modern Portfolio Theory: Harry Markowitz, for research regarding portfolio construction in relation to risk and return; William Sharpe, for his Capital Asset Pricing Model and the concept of beta; and Merton Miller, for modern corporate finance theory and the theory of company valuation with respect to dividends. After years of work, they were credited with collectively reforming the way the world invests and forming conclusions that continue to inspire financial economists today. 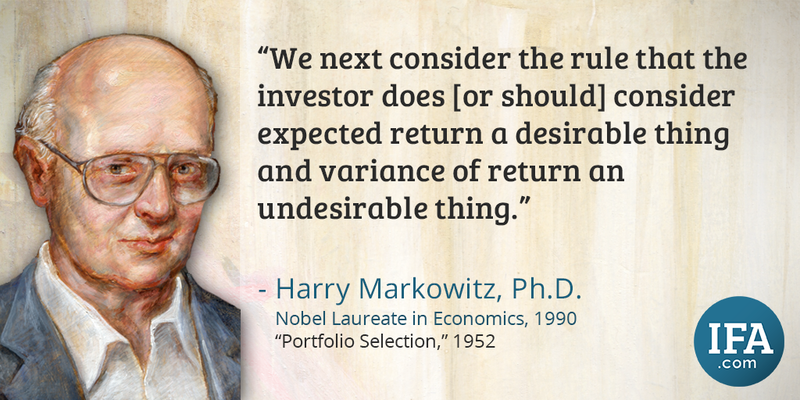 When Markowitz was a doctoral student at the University of Chicago in 1952, he concluded that investment diversification reduced risk. 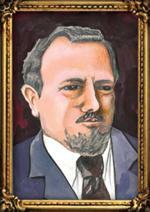 His groundbreaking paper, “Portfolio Selection,”18 is the foundation of Modern Portfolio Theory. In fact, he is commonly referred to as the “Father of Modern Portfolio Theory.” Markowitz’s contributions showed that assets should be evaluated not only for their individual characteristics, but also for their combined effect on a portfolio as a whole. His research mathematically supports efficient portfolios that have provided the highest expected return for a given level of risk. 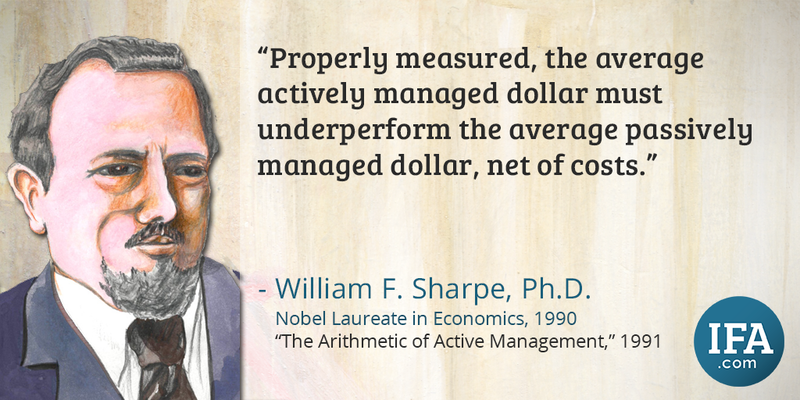 Stanford professor William Sharpe presented the Capital Asset Pricing Model (CAPM), or single factor asset-pricing model, in his 1963 paper, “A Simplified Model for Portfolio Analysis.”19 In his 1964 paper, “Capital Asset Prices: A Theory of Market Equilibrium under Conditions of Risk,”20 he theorized risk is volatility relative to the market and found an asset’s sensitivity to market risk (known as beta) determines an investor’s expected return and the cost of capital of a firm. Stocks that carry higher risk (a beta greater than one) are more volatile than the market and therefore should have higher expected returns. CAPM is often used as the asset-pricing model for evaluating the risk and expected return of securities and portfolios. Merton Miller derived two vital invariance theorems with the help of Franco Modigliani, now aptly named the Modigliani-Miller or MM theorems. 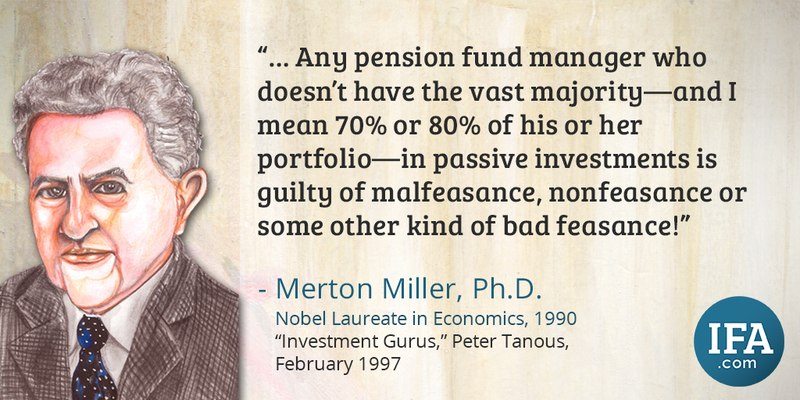 Through Miller’s work, an important lesson was ascertained: a firm’s value is unrelated to its dividend policy, and dividend policy is an unreliable guide for stock selection. The MM theorems have since established themselves as the comparative norm for theoretical and empirical analyses in corporate finance. The 2013 Nobel Prize in Economic Sciences was awarded to Eugene Fama, Lars Peter Hansen, and Robert Shiller for their empirical analysis of asset prices. Essentially, all three converge on the idea that although prices are completely unpredictable in the short run, they become more predictable over longer time periods. Eugene Fama’s contributions were already discussed in the section titled “1965—Efficient Markets.” To summarize, although market efficiency implies a random daily movement of asset prices, the returns that are realized over long periods of time reflect the risks of those firms and those risks are embedded in prices by market participants. The above vignettes are brief snapshots of an enormous treasure trove of valuable information that can provide every investor the ability to invest for a better financial future. The findings of financial scientists, academics and Nobel Laureates are indeed the higher power for investors, enabling them to invest with an abundance of knowledge that will enable them to better fund their own retirement, not their broker’s retirement. 2Timothy M. Hatton, The New Fiduciary Standard: The 27 Prudent Investment Practices for Financial Advisers, Trustees and Plan Sponsors, (Bloomberg, 2005) pg. 33. 5Francis Galton, "Vox Populi," Nature, vol. 75, March 28, 1907. 6James Surowiecki, The Wisdom of Crowds: Why the Many Are Smarter Than the Few and How Collective Wisdom Shapes Business, Economies, Societies and Nations (New York: Double Day, 2005). 7Paul Samuelson, "Proof That Properly Anticipated Prices Fluctuate Randomly," Industrial Management Review 6 (1965): 41. 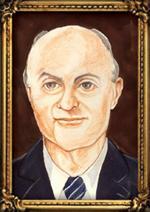 8Eugene F. Fama, "The Behavior of Stock Market Prices," The Journal of Business, vol. 38, no. 1. (1965): 34-105. 9Eugene F. Fama, "Efficient Capital Markets: A Review of Theory and Empirical Work," The Journal of Finance, vol. 25, no. 2 (1970). 10Eugene F. Fama and Kenneth R. French, "The Cross-Section of Expected Stock Returns," The Journal of Finance, vol. 47, no. 2 (1992). 11Roger Ibbotson, Rex Sinquefield, "Stocks, Bonds, Bills, and Inflation, Vol. 49, No.3, (July 1976), pp.313-338. 13Burton Malkiel, A Random Walk Down Wall Street (New York: W. W. Norton & Company, Inc., 1973). 14John C. Bogle, Founder and Senior Chairman, The Vanguard Group, Keynote Speech, The Fourth Annual Superbowl of Indexing, Dec. 5, 1999. 15Friedrich von Hayek, The Road to Serfdom (Chicago: University of Chicago Press, 1994). 17Eugene Fama, Kenneth French, "The Cross-Section of Expected Stock Returns," The Journal of Finance, Vol 47, No. 2, June 1992. 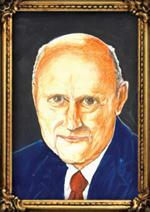 18Harry Markowitz, "Portfolio Selection," The Journal of Finance, vol. 7, no. 1 (1952). 19William Sharpe, "A Simplified Model for Portfolio Analysis," Management Science, vol. 9, no. 2 (1963). 20William Sharpe, "Capital Asset Prices: A Theory of Market Equilibrium under Conditions of Risk," The Journal of Finance, vol. 19, no. 3 (1964).